Brett R Markley Construction and Development, Inc. Comment: Patio installation and fence. Comment: Approx. 850 sq. ft. interior polished concrete flooring in main living space of a second floor condo. Existing concrete slab to be polished. Flooring is now floating laminate about 1 year old and can be easily removed. Condo is vacant and all furniture and furnishings have been removed. Comment: I would like to get an estimate for resurfacing a pool deck. The deck is pulling away from the coping about 1.5 in. 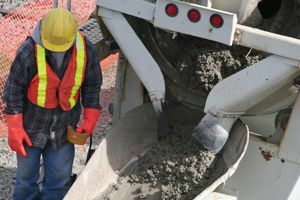 Sarasota Concrete Contractors are rated 4.74 out of 5 based on 898 reviews of 51 pros. Not Looking for Concrete Contractors in Sarasota, FL?